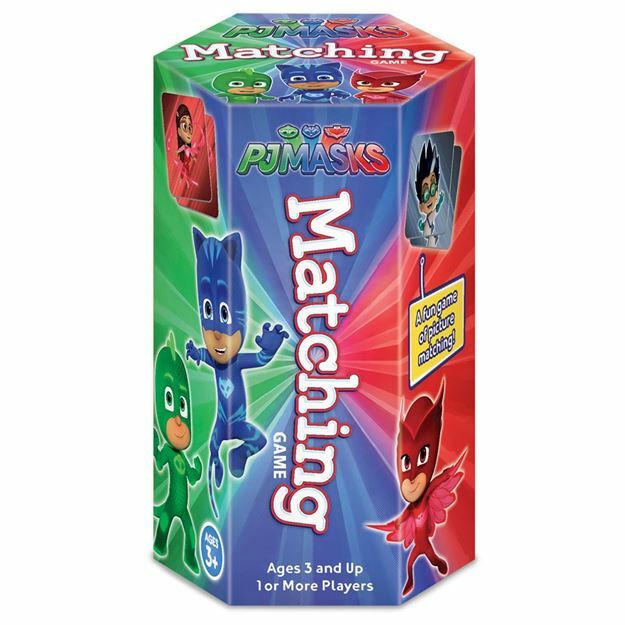 Packaged in a brightly hex shaped mini tube, the PJ Masks matching game is fun for learning pairs and hand-eye co-ordination. Flip over brightly colored tiles and find colorful characters to collect. What familiar faces will you see? Pick up the most matching pairs to win! For 1 or more players. Age 3+ years. Distributed in New Zealand by Holdson.